According to the UN nuclear agency, Iran has turned all of its enriched uranium closest to the level needed to make nuclear arms into more harmless forms. The conversion of its stock of 20%-enriched uranium was part of a deal to curb Iran’s nuclear program. The US said last week it would unblock $2.8 billion in frozen Iranian funds in return for Iran’s compliance. A four-month extension to talks on Iran’s nuclear ambitions was agreed on Friday between Iran and world powers. The talks are aimed at persuading Iran to limit its nuclear program in exchange for the lifting of sanctions. The six world powers involved in the talks – the US, France, China, Russia, Germany and the UK – suspect Iran seeks atomic weapons, which Iran denies. The country insists that it is enriching uranium for use in nuclear power stations and for medical purposes. Correspondents say Iran’s completion of eliminating its most worrying uranium stockpile is a promising sign that its leaders do not want to derail the diplomatic process. A new report from the International Atomic Energy Agency (IAEA) says Iran is observing all of its other commitments as well. 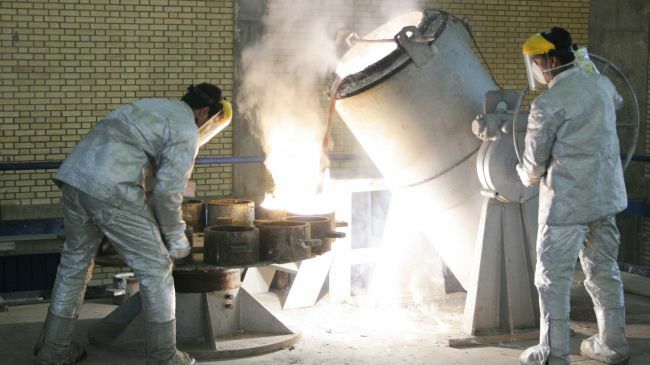 Iran had more than 200 kg of 20%-enriched uranium when the preliminary agreement to convert it was reached last November. At 20%, enriched uranium can be converted quickly to arm a nuclear weapon and experts said 200kg was enough to make one nuclear warhead. Negotiations between the six powers and Iran are set to resume in September, with the deadline for an agreement on November 24. The parties have been unable to reach agreement on imposing long-term restrictions over Iran’s uranium enrichment and plutonium production – processes that could yield material for nuclear warheads. A deal could see the lifting of oil and trade sanctions on Iran.